When returning from a successful photo adventure, be it a day trip or an extended period of time, you may find yourself needing to go through hundreds or even thousands of images. 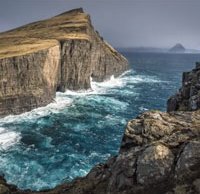 After a productive trip to the Faroe Islands, photographer Nigel Danson had a ton of photos to process in Lightroom. In the video below, he discusses his post-shoot workflow and shares some of his best tips for efficiently reviewing your photos. Once his photos are in Lightroom, the first thing Danson does is ensure that he has created a smart preview. He also creates a new collection and syncs it with Lightroom CC, so that he can work on images from his iPad. When going through his images, Danson uses Lightroom's star rating system. His selects are rated 3, 4 or 5 stars, with 5-star images being the ones which will definitely be added to Danson's portfolio and be available for sale. Readers, do you have any workflow tips of your own to share? What software and methods do you use for making selects of your images? Let us know in the comments below.